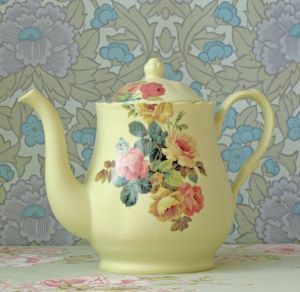 Slip cast yellow teapot with rose transfer. satin glaze. holds 6 mugs of tea!